Having your own hidden room for gun safes is the stuff of movies. It is also the stuff of reality and careful security. But, it can still have a touch of romance and fun to it. In this article, we’ll show you how to build a gun safe room in your home. There are a lot of reasons to build this room, ranging from practical security, to straight up whimsy. After all, if you can do it, why not? The two most common reasons are the simple reality of needing a secure room to store a collection of guns in and to hide in case of an emergency. When building this room, you’ll need a few things. A room or basement you can convert is the first thing. You’ll also need a clear vision of what you want to do. This might include a heavy vault door, which a can be easily purchased. These are just a few reasons why you’ll want this space. We’ll go in depth on some of these a bit later. ​You have a big gun collection. If it’s big enough to justify its own room, why not build one? ​You are at ​high risk for theft​. A secured room is just common sense if you are worried about theft. You are at a high risk for home invasion. A safe room for firearms is also a people-safe room. Nothing beats being able to hunker down in a locked room with lots of guns, while waiting for the cops. ​You like the whimsical nature of it. Because let’s face it, you can be practical and have fun at the same time. Who hasn’t wanted a home with a hidden room of their own? 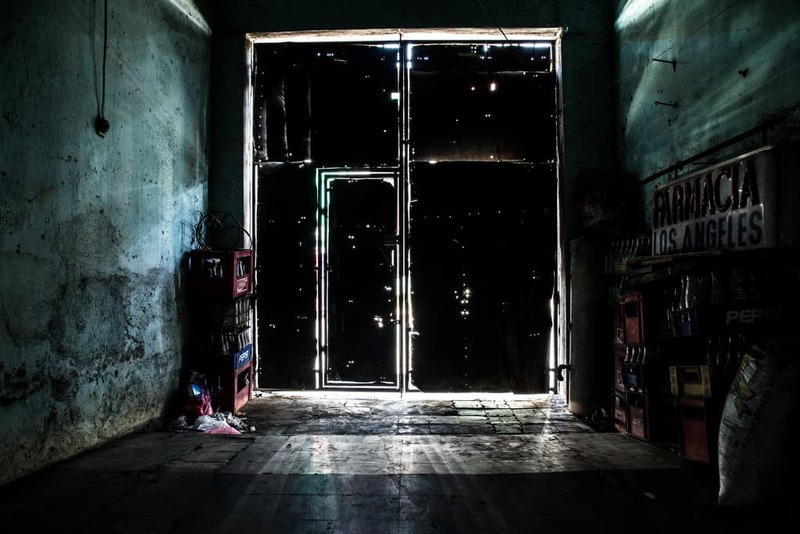 You are probably asking, “what is a safe room for guns?” After all, it is a vague-sounding phrase that could conjure up all sorts of mental images. 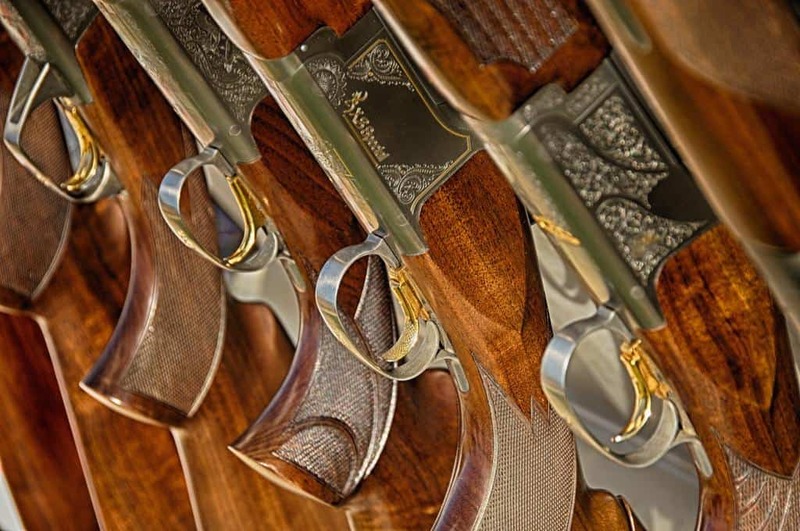 For the purposes of this article, we are treating it as a dedicated, secure, and hardened room for storing guns, or for withdrawing to in case of an emergency. While some create their own gun cabinets from scratch, some people like to convert a spare bedroom or other room into a safe room. Others will make some or even all their basement into one. The real limitations are your imagination and budget. A surprisingly good room can be built with little money. Before you start building, you need to consider a few things. What do you plan to do with it, and how big do you need or want it to be? Lastly, your budget and a realistic threat assessment should be part of your planning. We’ve already hinted around this a bit, but you can do more than just store a big gun collection in a safe room. Sure, it can be as simple as converting a room into a walk in safe. But, wouldn’t it be nice to add a table and a couple of chairs, so you can work on your guns? Or even go all out and use the room as a proper emergency retreat in case of home invasion, civil unrest, terrorism, or other external threats. You might even consider having a little fun with the concept. Why not put in a couple comfy chairs, and a bookshelf or TV? If you're also going to use the room as an emergency retreat, consider having a toilet and sink plumbed in there, or maybe even a small shower. Put in a refrigerator and some food and water supplies. Add some other emergency supplies, and you’ll be turning you room into the best possible safe for you and your guns. ​Before you build, you need to know what you want to build. Are you simply converting a room? You might be able to get away with simply covering up the window and building a reinforced door frame for a safe door. At that point, the only thing left is to furnish it how you like. If you are turning part of a room or a basement into your safe room, you’ll need to decide how big it will be, what supplies you’ll need for the conversion, and if you're going to bolt the safe to the floor. As with all safe room construction, you may need to get a building permit. You might also have to add plumbing or electrical wiring to the room. You may need the services of a professional builder, unless you have the skills to perform the needed work yourself. The downside to this of course, is it makes it hard to keep your safe room a secret when it appears on permits and blueprints to hired builders. When you are ready to build your room, you’ll need some supplies. For something simple, you’ll not need much except a heavy door and the supplies to reinforce a door frame. For going all out, you’ll need to get wiring, plumbing, climate control systems, and such all lined up, too. You’ll probably want to have your room well ventilated to avoid moisture and also able to be kept at a comfortable temperature year round. You may also want to install an internet connection, or plumbing. Some also will use layers of sandbags or cemented bricks to create a ballistic barrier. You alone have to decide what the likely threats you’ll be facing are. This means you have to decide how “tough” to build your safe room and decide how you’ll achieve that end. This might mean considerable investment in time, supplies, and money. Or, it might be a fairly simple project. ​We've done all the hard work for you so you no longer have to find one for yourself. 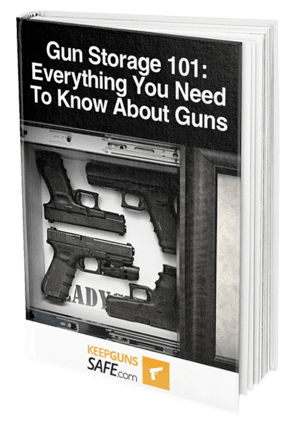 Check out our ​gun safe buying guide below. Just as there is no one size fits all solution for these rooms, there is no ideal type of room. Your needs, interests, and what you have to work with will all impact what kind of safe room or vault room you come up with. Plan within your means and ability before proceeding. You might ask how to build a gun safe room in your basement. In a way, this is the easiest one, because you only have to build a couple walls and a door frame. If you build in a corner, you’ve got two walls already. Run your utilities and frame in the room to be done. Converting an existing room in your house is also a popular choice. You could build something under your stairs. You might also take a small closet or den and install a vault door, or hidden door that won’t be easily figured out by intruders. Arguably the most important part is the door. Simple, easy-to-defeat doors just won’t do the trick. You need something either cleverly hidden, or something so strong it cannot be broken into. Doors are your weakest point in the room. One of the most popular choices is to simply install a vault door in a reinforced door frame. This has the effect of literally turning a room into a walk-in safe. You’ll want to seal off any windows of course, and maybe add some brick or sheet metal lining along the walls for more security. If you don’t have the money for a vault door, there is always the old trick of hiding a room behind a bookshelf, or a hidden panel. This adds a “cool” factor to your room but reduces security to how well you can keep a secret. Rooms secured this way rely on secrecy and obscurity for security. Let’s face it. 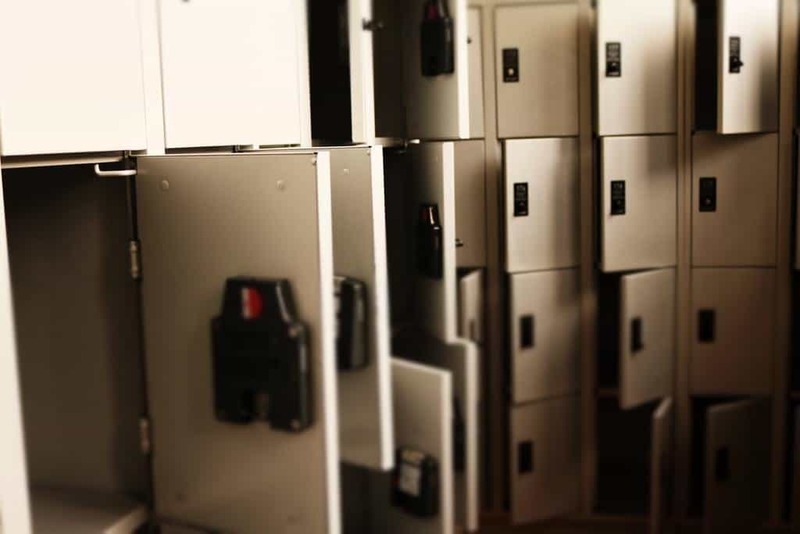 If you're building a safe room, it is already going to be big enough to secure a gun collection or lots of other valuables, much bigger than even the best rifle and gun cabinet on the market​. It may also serve as a point of retreat during an emergency or home invasion. Consider how it will be laid out inside. Now a person could go all out and build a very plush safe room. Carpeting, comfortable furniture, home electronics, plus of course their guns and their ammos such. This would be a very good place to go in case of an emergency, or even as a high class personal study. Or, you might just want a simple room. Maybe you just need to store your guns or have a quick place to hide for a little while in case of a home invasion. Add a couple small creature comforts and a phone line, and you’ll be good to go. By now, you’ve figured out where you are going to put the safe room. You’ve decided if you need any building permits and if you need a professional contractor. You’ve even got a basic idea of what you want the room to look like. It’s time to get started. When working with a preexisting room, you’ll want to start by stripping away any unwanted carpeting and drywall. When installing a vault door, you’ll also likely be reinforcing the door frame. You may have to rebuild non load-bearing walls and door frames. This is where you have to make sure your location can handle the weight of what you have planned. Can your walls and floor handle the weight of a vault door? Are you reinforcing the inside with brick or sheet metal, and if so, can your structure handle the load? If you want to build in a basement, it is easier to use heavy brick and metal in your construction. This gives you a true vault or safe room experience. This also makes the room all but impenetrable to any but the most determined and well-equipped intruder. If you convert an existing room in your home, you may opt for things like Kevlar panels to deflect bullets. Or maybe steel plating on the walls and gun cabinets for the same effect. Some room builders have lined their rooms with cinder block or bricks. Others choose not to do any of this. It depends on your level of preparedness and what you think is best. For many, simply having a reinforced and locking door is security enough. Some may choose to take the concept to the maximum extreme and build a truly impregnable vault room. It is highly unlikely you’ll not have any utilities in the safe room. At the very least you’ll want an electric light, and an outlet so you can plug in a dehumidifier. Some other form of climate control may also be nice to have, so a consistent temperature is maintained inside the room. If you are using the safe room for more than just storage, you’ll need to add more utilities. Consider a phone line or internet data connection. You might also consider keeping a spare working cellphone in the safe room at all times. If this safe room is also a retreat during emergencies, consider plumbing. A long-term wait is made more tolerable with running water and a toilet. You could even prepare the room to be used for several days by adding a small shower if you were so inclined. A room for gun safes isn’t just any room and should be laid out accordingly. It’s not just any room, it’s the room in your home built around maximum safety for your most valuable possessions, yourself, and your family. What is it going to be like inside? ​You might just be content with some gun cabinets, racks, and ammo storage. Maybe add a table and a couple chairs for cleaning and gun maintenance. You could even double down on the security and install a gun safe inside as well, which would make theft all but impossible. Or you can furnish it like any other room in your home with carpeting and comfortable furniture. Consider adding a small bed if you plan to use it for an emergency retreat. Are you going to use it for document storage as well, or just for gun storage? If so, will you need a filing cabinet or two? There are few legal issues, outside of any building permits you might need. However, there are other things to consider. Some states and municipalities limit how much ammo or gunpowder can be stored without a special powder magazine. You also need to minimize knowledge of the room. Building permits are public record, and easily accessed. Contractors might talk, or inadvertently hire an unscrupulous person on the job, making it possible to target your home before the room is finished. Related: ​​How Safe are ​Gun Locks? Compliance with dangerous goods storage laws and maintaining a level of confidentiality about your safe or vault room are important. Choose only highly reputable contractors to do the work and install any vault doors. Make sure the work is legal, so your homeowner’s insurance covers the additions and changes. 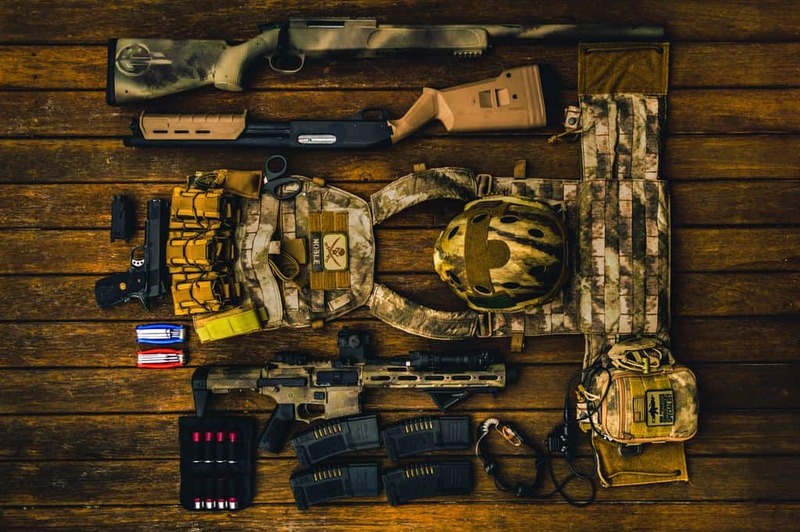 Aside from guns and ammo, the sky is really the limit on what to put in there. Valuable documents, precious metals, and jewelry could all be stored. You’ll probably want a second small safe for important papers and the like in there. This can be bolted to the floor or wall. Consider a fireproof filing cabinet for documents, or a bookshelf if you have lots of material in binders or small document boxes. Even if you don’t use the room as an emergency retreat, it can still be good for storing emergency supplies. If the room is big enough, you can put your emergency food and water supplies in there. After all, a centralized, secure location is handy. As your safe room takes shape, consider the little things that can really make a difference. Add a fire extinguisher or two inside, or even a dedicated fire suppression system. Has it been prepared and equipped to allow storage without your guns developing rust over time? Did you build with proper materials and tools? Have you checked with your homeowner’s insurance to see if a safe or vault room might give you a discount on your premium? Is all your construction legal, so that if you sell your house, the room is an asset and not a liability? Now that you are better prepared to build your room, it’s time to start work. You’ll find having a safe or vault room is highly satisfying. Your guns and valuables will be safer and better stored, and you’ll have genuine peace of mind in your home.